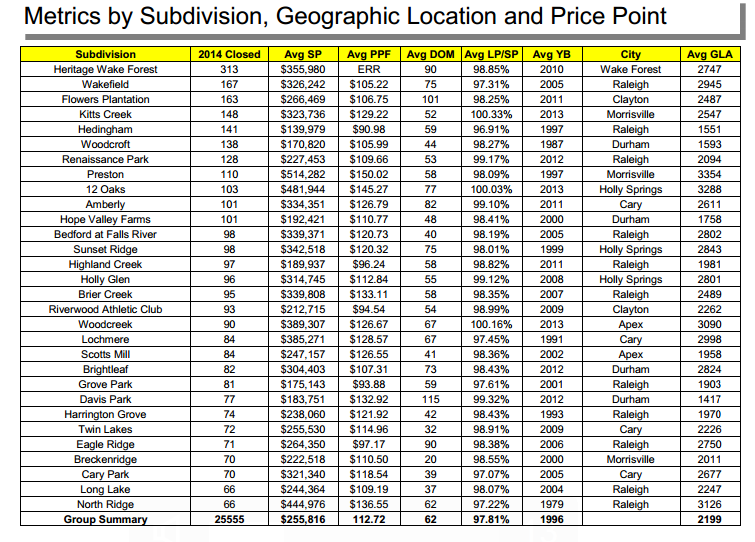 Thought you may be interested in knowing which Wake County neighborhoods have sold the most homes this fall of 2011. Interesting information, but to be more informative we need to know the number of homes in the neighborhood! 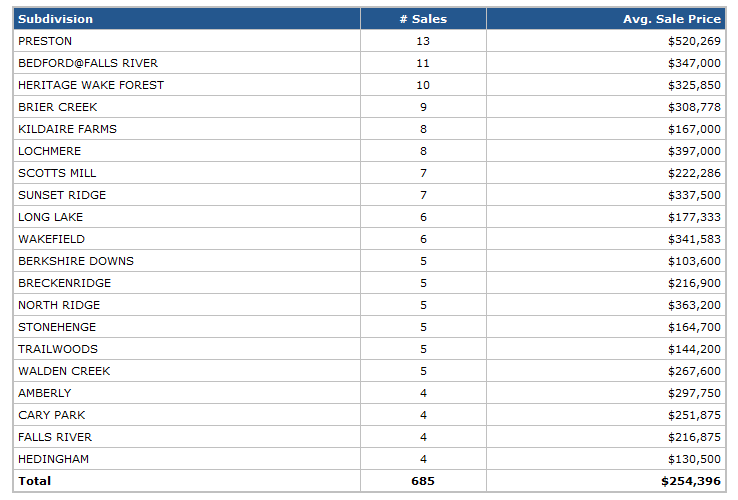 If you want stats on YOUR neighborhood just ask me!